The world of business is changing in a radically fast manner and it’s becoming obvious that both candidate-filtering and hiring processes need to keep up with the change if not even top it off. What exactly is happening? For starters, the network of teams we operate in and collaborate with is drastically expanding as we speak, and we’re actively facing a relentless stream of communications, messages, and processes essential for any business to function properly. Secondly, the traditional hiring methods are becoming obsolete and somewhat disappointing as they’re unable to match the current market demands; the more young professionals are stepping onto the job market, the bigger are demands for more opportunity, flexibility and, ultimately, leadership. Added, the young understand ways to use technology to their business advantage and they are expecting recruiters and HRs to do the same. This stipulate alone has lead to a change in processing and hiring methods altogether, with recruiters still getting accustomed to the new routines. For the tech-savvy (both HRs and candidates), their online presence on business platforms is crucial with online talent platforms becoming the next big thing in Human Resource Management and recruiting. 1 What Exactly are Online Talent Platforms? 2 How do Online Software Services Work? What Exactly are Online Talent Platforms? Online talent platforms are either social platforms (like LinkedIn) or online software services (like Anomadic) that serve as tracking systems that filter and match candidates with the jobs that align with their skills, expertise and business requirements. While the first is helping individual résumés match with job postings from traditional employers, the latter is enabling a quicker, faster and more effective digital recruitment process through a reliable applicant tracking system, thus helping HRs find suitable and capable professionals in a timely manner. It is estimated that by 2025 digital candidate filtering could add $2.7 trillion to global GDP, potentially restructuring currently persistent problems in the world’s hiring markets. Added, digital hiring is believed to be a more transparent and productive job-finding manner for individual talents as well, helping them form a professional online presence and find jobs more effectively, whether they’re looking for full-time employment or are embracing the “gig economy” (aka freelance engagements). How do Online Software Services Work? Things are way simpler than they seem. All it takes for the process to take place is for an HR recruiter to enter the job-required specifications in the software provided filters, apply other needed filters as well and get connected with the right candidate in the base. a) candidates can upload their professional tendencies, requirements, expectations, skill, and goals and make them visible to any and all hiring individuals to see. b) HRs and recruiters can access those same job seekers’ resumes by browsing through software-enabled filters, single them out and match them with the right work opportunities. It is understood that the HR will only be able to find candidates that are using the applicant tracking software themselves. What are the benefits of ATS recruitment? 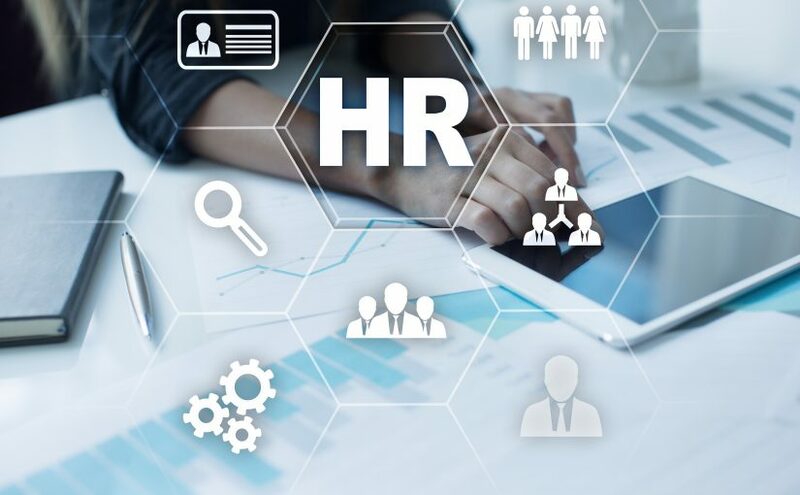 The inclusion of technology and digital data processing in the current hiring methods has the perspective to radically shift HR practice altogether. Apart from digital literacy that would necessarily become paramount of all HR processes, Anomadic would be (and is) enabling easier candidate and company matching, maximizing candidate screening efficiency and customer satisfaction. For instance, companies could fashion customized pre-screening questions through video presentations with the candidates given the option to send their answers through written or video form. Following, the software is enabling checking of candidates’ backgrounds, CVs and skills through extended processes like CV Validation, Advanced Reference Check and Background Check, helping companies choose their preferred candidate. Adapting to the new (digital) organization contexts surrounding them, HR experts would be automatically given the opportunity to access a larger base of talents looking for jobs, conduct appropriate pre-employment checks and, by trusting software services to properly screen them, connect them with the employers looking for candidates of their caliber. The more technology advances, the bigger applicant demands get. Candidates are demanding applications optimized for mobile devices, easy to fill out and not too long to go through. Added, most of them are expecting regular updates on their application status which, in the current economy that’s overflown with jobseekers and a limited number of jobs, is almost impossible for a single HR person to do. Given that most online software services are mobile-friendly and allow for automatic replies, candidates are in for a much higher follow-up rate while the HRs aren’t burdened with yet another task to do. In this respect, things are simple: the better the employee-employer match, the happier everyone is with the outcome. An ATS has the ability to almost unmistakably filter candidate skills and match them with the right company, empowering digital HR and turning every known recruitment process on its head. Added, online talent platforms increase the skill-demand transparency, helping young people make better educational choices. As the world has adopted digital dynamics as a more functional and valuable way of business interactions, it is no surprise that Anomadic and similar software services are actively increasing in popularity. Still, even though hundreds of millions of people use these services globally, their potentials are still evolving. The hope of the modern market is for even a fraction of the global workforce and recruiters to turn to the software as such usage will potentially generate major benefits for individuals and economies respectively. The statistics quoted, “Up to 540 million people could benefit from online talent platforms by 2025. As many as 230 million could find new jobs more quickly, reducing the duration of unemployment, while 200 million who are inactive or employed part-time could gain additional hours through freelance platforms. As many as 60 million people could find work that more closely suits their skills or preferences, while an additional 50 million could shift from informal to formal employment”.